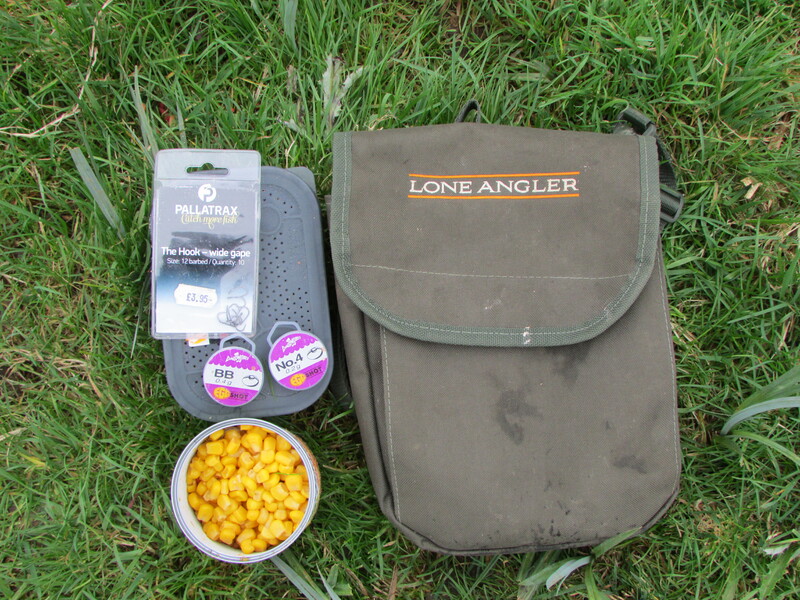 With the close season almost at the half way point it’s worth looking at a few ideas to help with some spring fishing and to prepare for the new season ahead. Spice up your ground baits with some extra zing. Add some flavouring to give that extra boost. 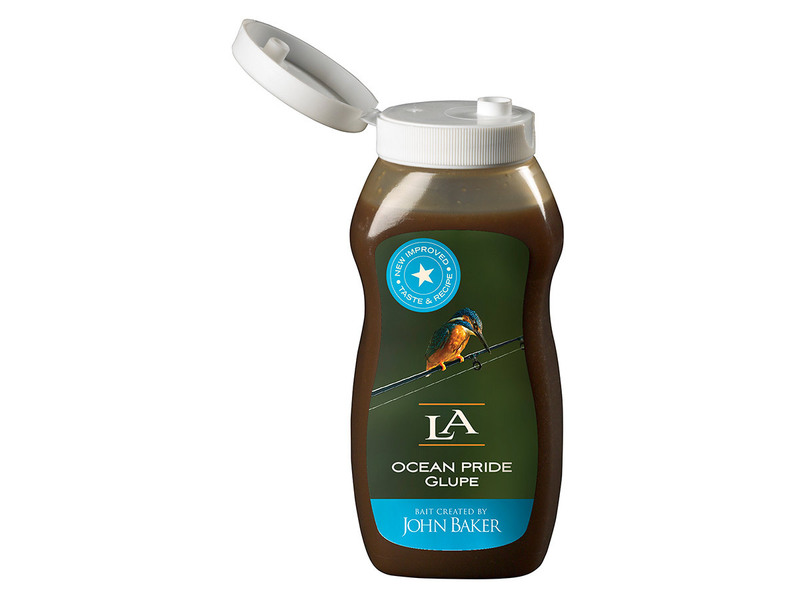 Soak hook baits to give them that extra edge too; whether its luncheon meat, pellets or even maggots, an extra glug of flavour can make all of the difference. Make sure your line is in good condition and replace it if you’re unsure of its age. Don’t loose a big fish because of complacency or laziness. 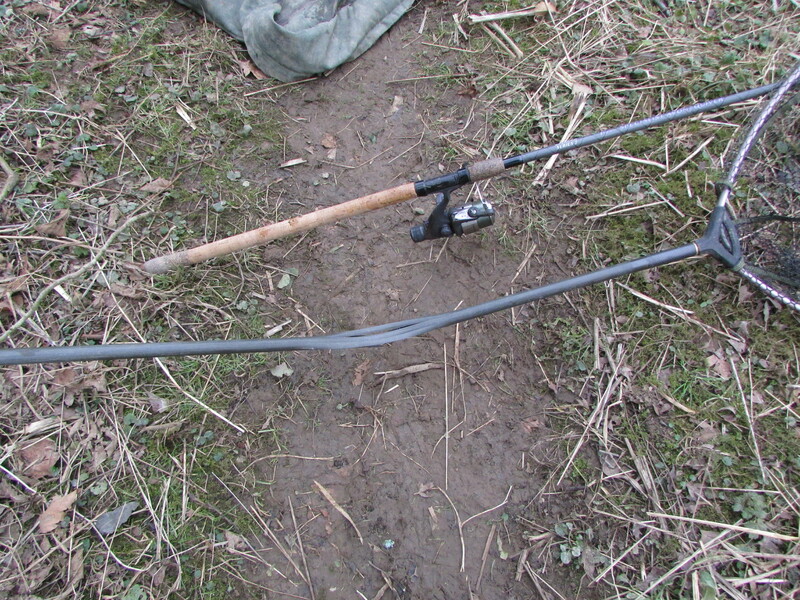 If you haven’t used your float or tench rods since last spring, clean them and check for damage prior to use. 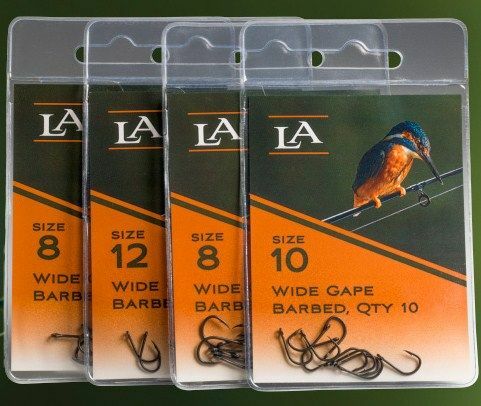 Ensure your hooks are sharp and that hooks to nylon have been checked for poor tying or signs of damage. You may prefer to tie your own hooklinks like I do, so that you have total control over their quality and reliability, particularly if you’re targeting big tench, bream or crucians. Most of all enjoy your time on the bank. It’s about escapism and pleasure. 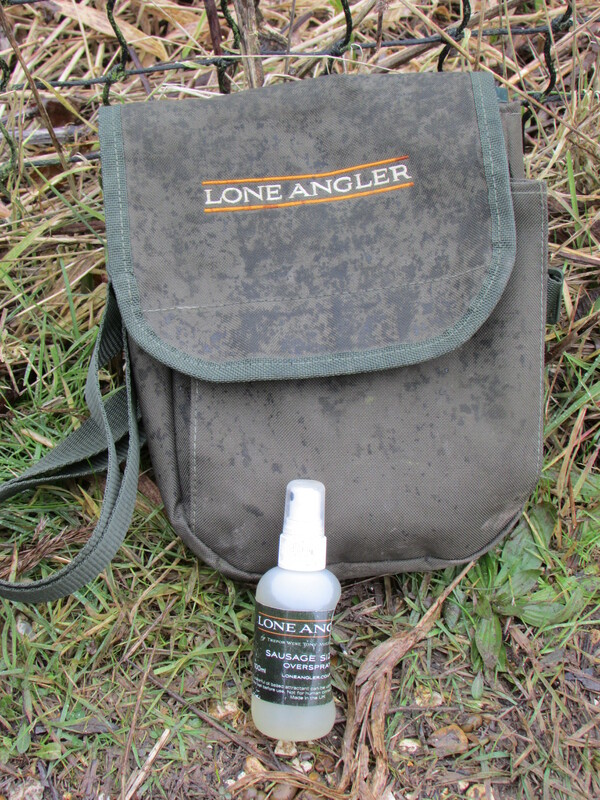 If allowed, get down to your chosen stretch of river for a recce. 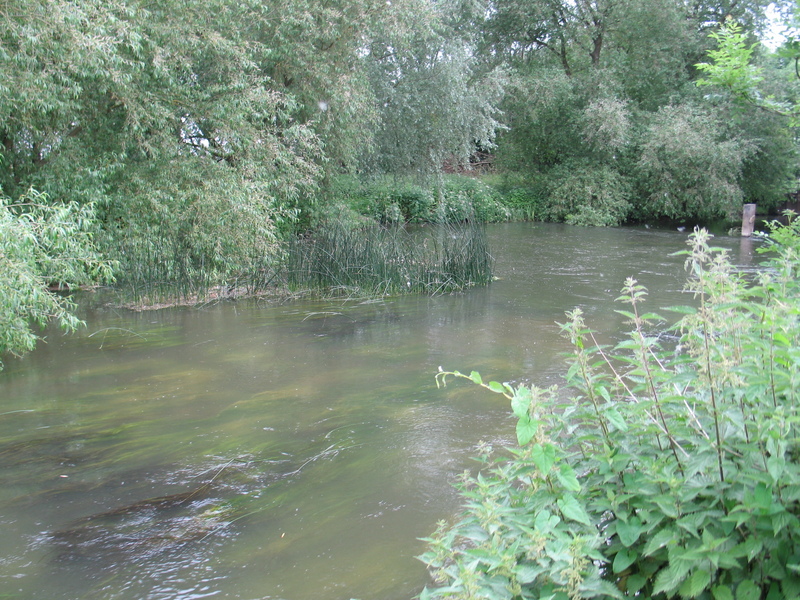 If your selected river flows clear, then in good conditions try and spot the barbel and chub. Find out where they spawn and you’ll see exactly what numbers and sizes of fish are in your stretch. Watch the behavior of fish. Look for feeding patterns and patrol routes. Look for where the fish tend to frequent on a regular basis and identify why they like these areas so much. 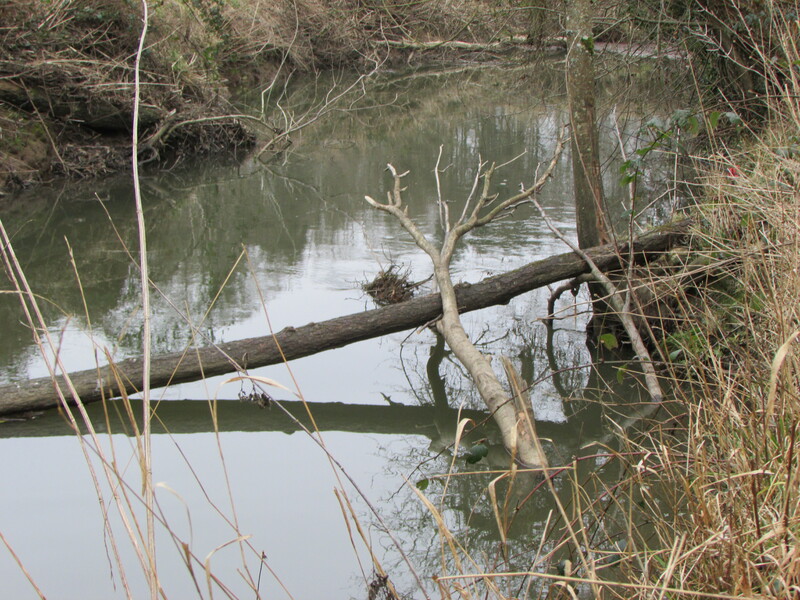 Even in rivers that do not flow clear, you can still look for potential holding or feeding areas. Early season cast a lead around to try and locate features and depths. Look for deep holes or gullies, gravel beds and runs or anything out of the ordinary like hidden boulders or snags. A day spent doing this can make all of the difference to your catch results. 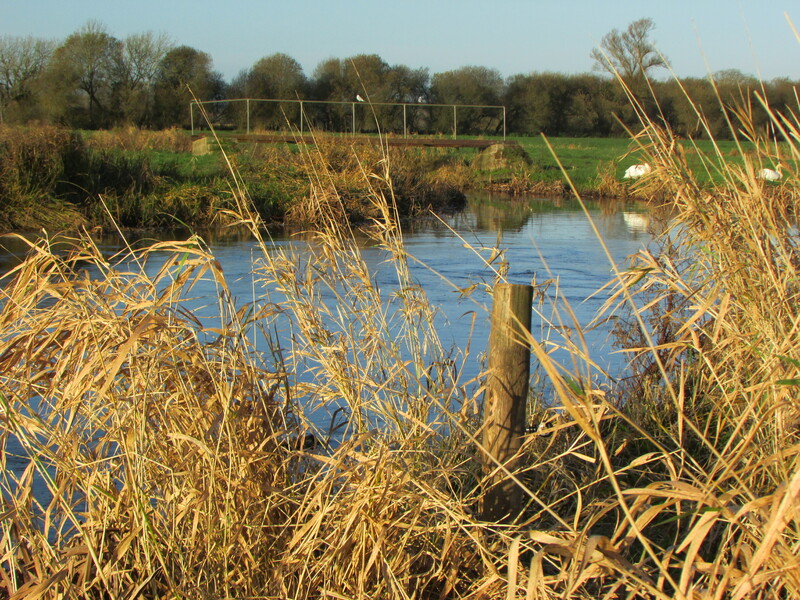 Look beyond the well trodden paths and try and locate remote areas that have the potential to produce fish. Once off the beaten track, you’ll often have the place to yourself and the fish will be far less spooky. Pre-baiting can help introduce a new bait or get the fish used to finding a readily available food source in particular areas, potentially giving you an edge come the new season. Grayling and roach and chub. Oh my! 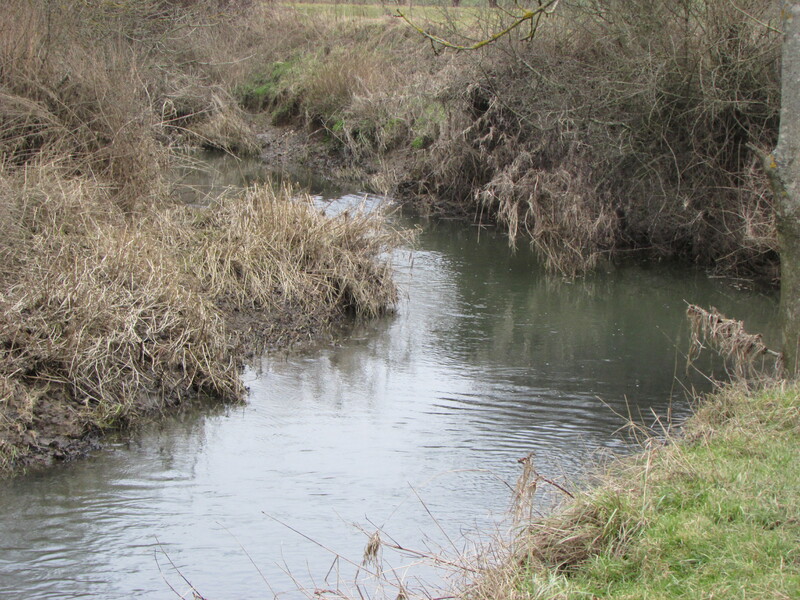 Yes it was back to the Itchen, although this time lower downstream in search of the big roach that inhabit this delightful chalkstream. As is typical of late, heavy rain the day before had coloured the river and it looked like it had pushed the levels up a bit. Overall though the river looked pretty good. The forecast was for a dry day with no rain, so quite what this wet stuff was falling from the sky is beyond me! Luckily the rain didn’t last too long. Geoff and I were particularly after the roach, however beggars can’t be choosers and so anything would be nice and in all honesty a roach would be a bonus. We opted to start at the lower extremity of the fishery and work our way up, dropping into the occasional swim for a trot through with a float. A chat here and there with a few local old boys pointed us in the right direction and we kept moving to see what was about. At the top end I found a very nice, smooth glide. 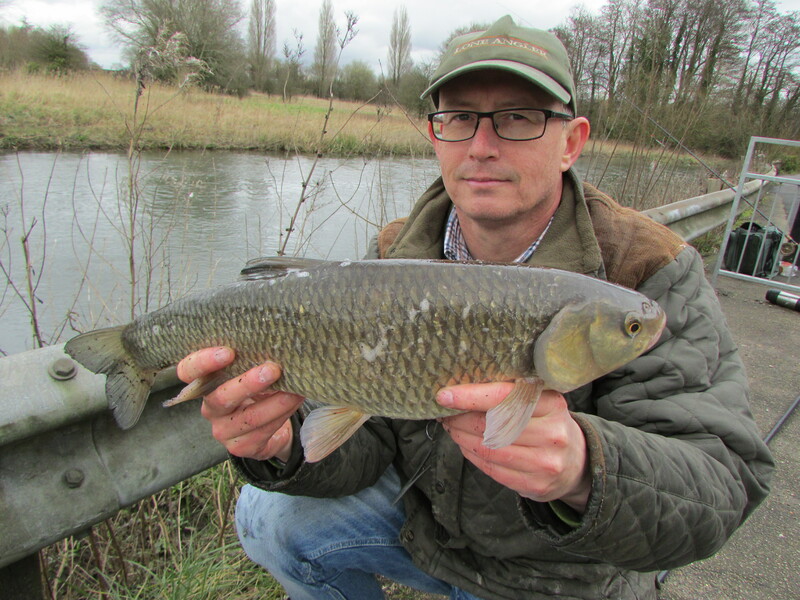 It looked about right for roach; it was around 4ft deep, smooth water and a distinct crease between the faster flow down the centre and the slower water on the inside. I’d set up with my 15ft float rod, centrepin and 3lb line. I opted for size 16 hook-to-nylon and double red maggot. The float was a 3g bolo, which is about 5AA or 10bb. If I’m fishing for roach I will bulk the big shot around the float and fish a few much smaller shot shirt button style down the line. Normally I’d use a few No 6’s and 8’s. If I was purely after the roach I may use a smaller float but it does need to be able to cope with the deep water and heavy flow. I’d managed to tempt a number of grayling and salmon par before eventually connecting with something much bigger. Initially it was difficult to know whether I’d hooked a fish or the bottom and then that tell tale ‘thump, thump’ indicated a chub. 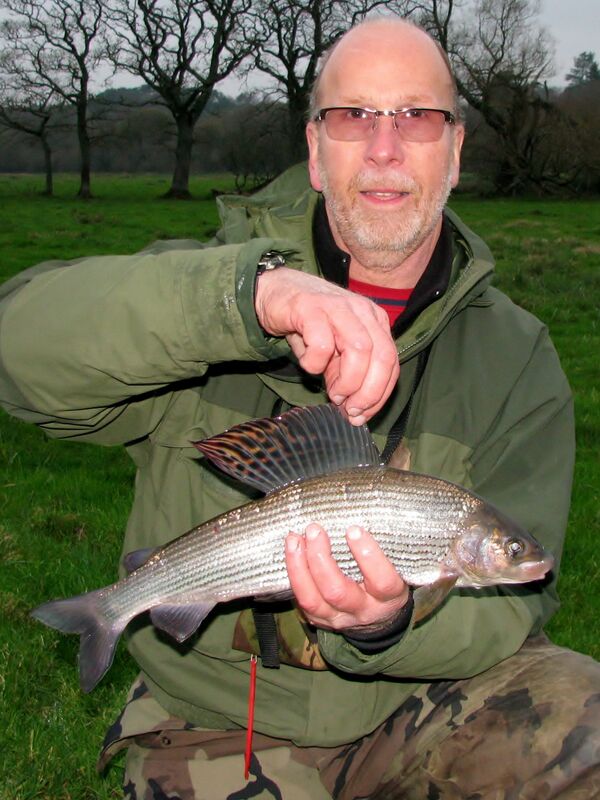 After a dogged fight Geoff finally landed the chevin and it looked a decent fish. After the initial “it looks huge” comments had elapsed we weighed the fish at 4lb 8oz. It was a lovely fish and would take some beating. Nothing else emerged and so another move was in order. A few trots through the new swim and the float buried. After a spirited fight it turned out to be a sea trout of about 3lbs. It put up a great scrap in the flow and a few passers by had stopped to watch the action. A round of applause followed once the fish was safely landed, unhooked and returned to fight another day. After that this swim went a bit quiet and so I moved downstream to a pedestrian bridge. A roar of Merlin engines filled the air and announced the arrival of a Spitfire hurtling upwards overhead. The Spitfire was first flown from Southampton Airport and with a anniversary coming up soon I believe, I guess this was a practice run. I do love the sound of those Rolls Royce engines and the sight of that majestic plane maneuvering through the skies. 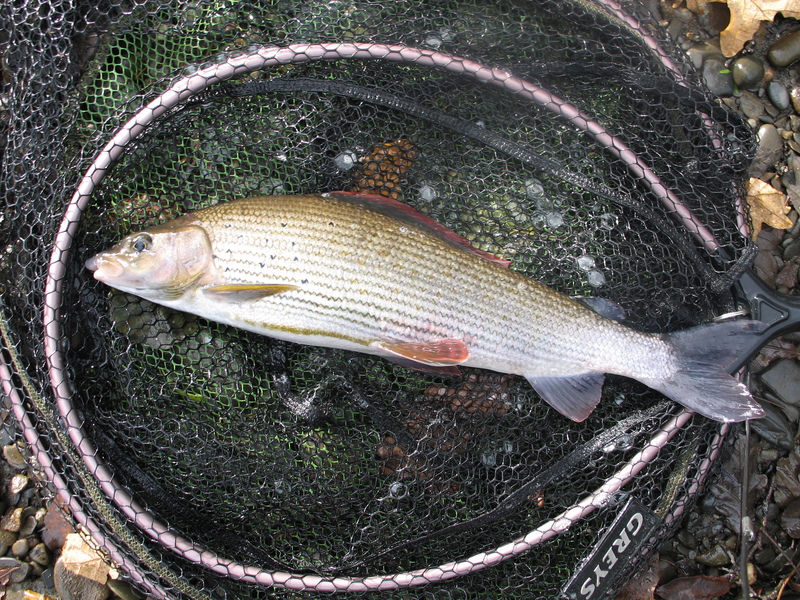 After the excitement of the Spitfire I managed a couple of nice dace to just shy of 10oz, a few grayling and the ever present salmon par. Geoff and I then targeted a really nice far bank glide. It was tricky casting that had to be inch perfect to trot the correct line but the masters that we are, we managed to get the odd one right! 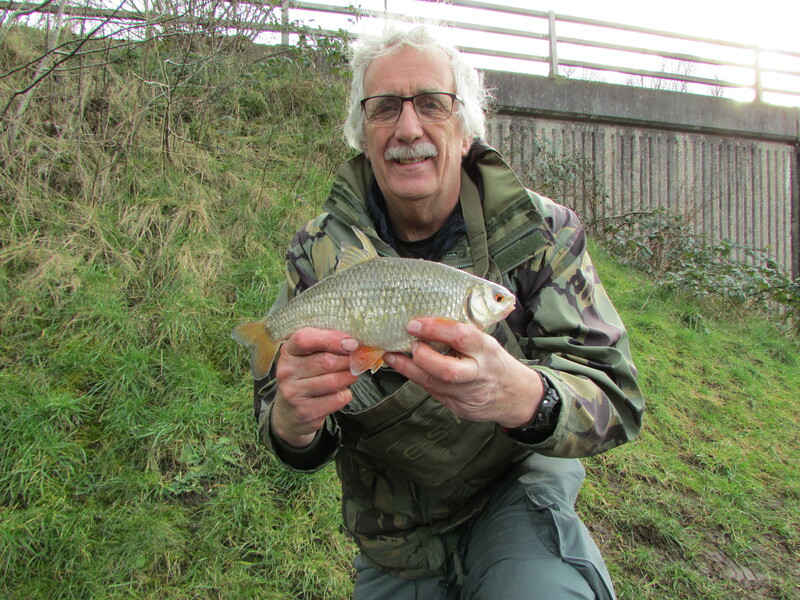 Geoff had the only fish though but it was a lovely roach of 1lb 4oz and any roach over a pound tends to be the highlight of the day. It had been fun with a good mixed bag of fish and with the season drawing to a close in a week or so, would probably be our last visit to this particular stretch until next winter. It’s been a while since I wet a line with my good buddy John Kemp, too long in fact. 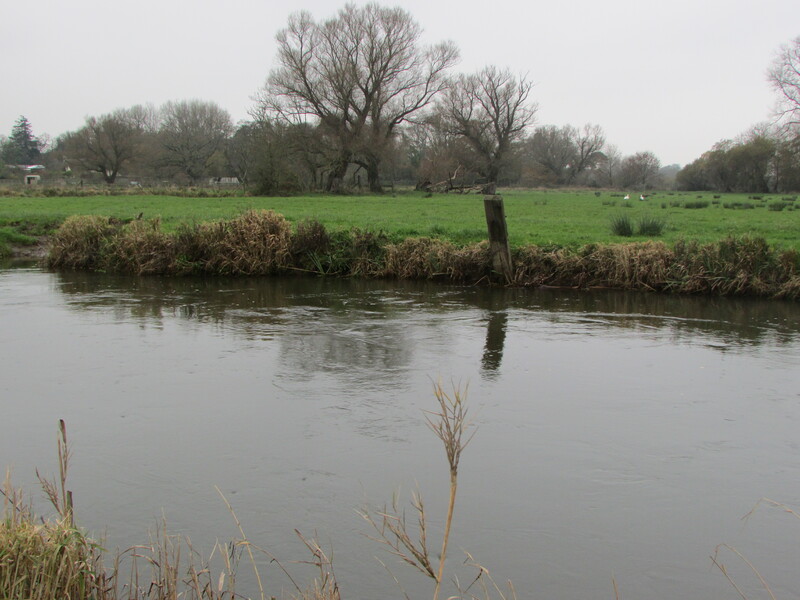 At last we managed to put this right and agreed to a session on the Sussex Ouse, a river I’ve not fished before. I have to say I was looking forward to the challenge of a new venue and I always enjoy new surroundings too. 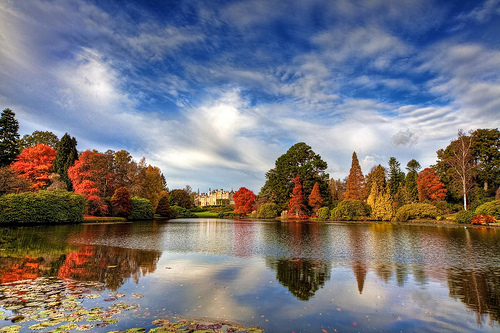 The Ouse runs through some stunning countryside in Sussex, places like Sheffield Park where people flock to in the autumn for the stunning colours of the trees. A veritable cornucopia of hues to marvel at and bewitch the eyes and minds of all those who visit. We stopped at a few well known spots for a look see. I have to say I was impressed. We ended up at a fairly narrow and heavily wooded section that looked barely fished in all honesty. 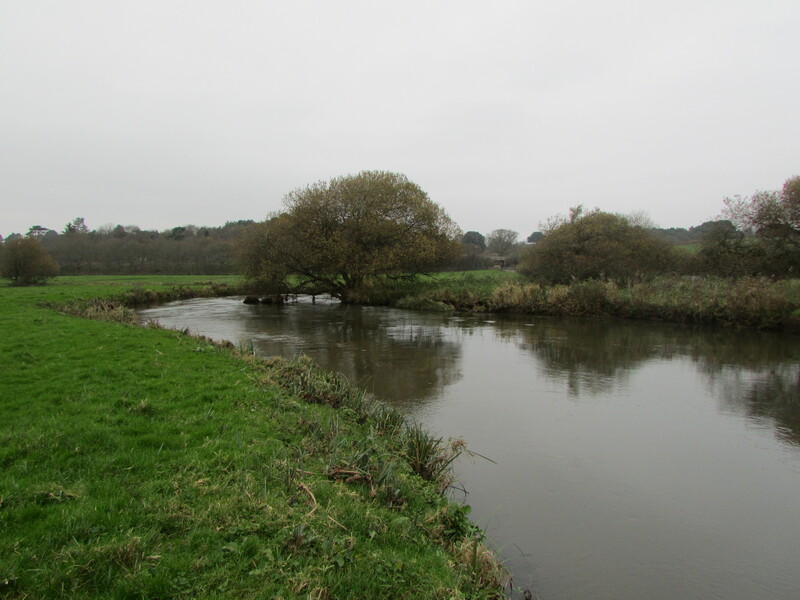 The river here winds its way through the Sussex countryside, with steep banks and endless features to fish to. It is a fairly small and very intimate river, with a good mixture of shallows and deeper runs. 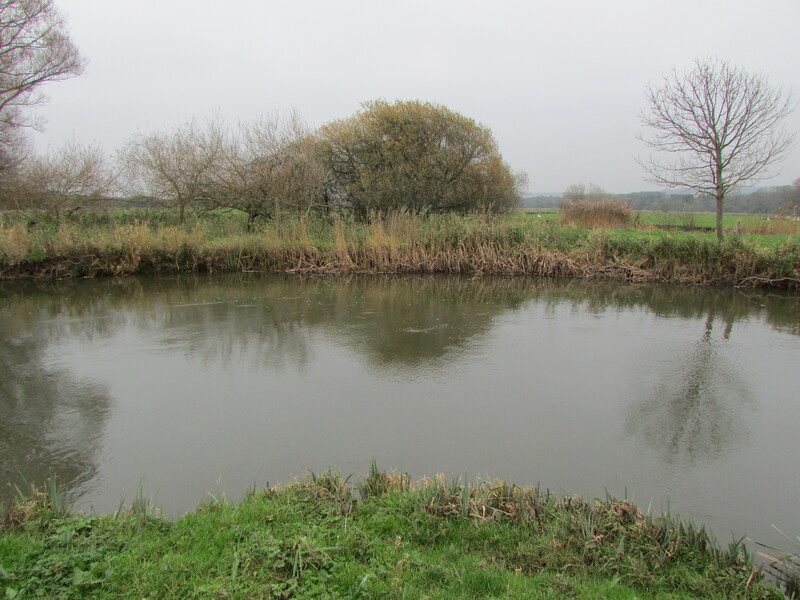 There appeared to be a very healthy amount of gravel on the river bed too, which looked ideal for summer barbel to flourish in. John and I were here for the chub today. The weather conditions have been fairly steady over the last week, with a slight increase in air temperatures and very little rain to speak of. All in all it was ideal chub fishing conditions. 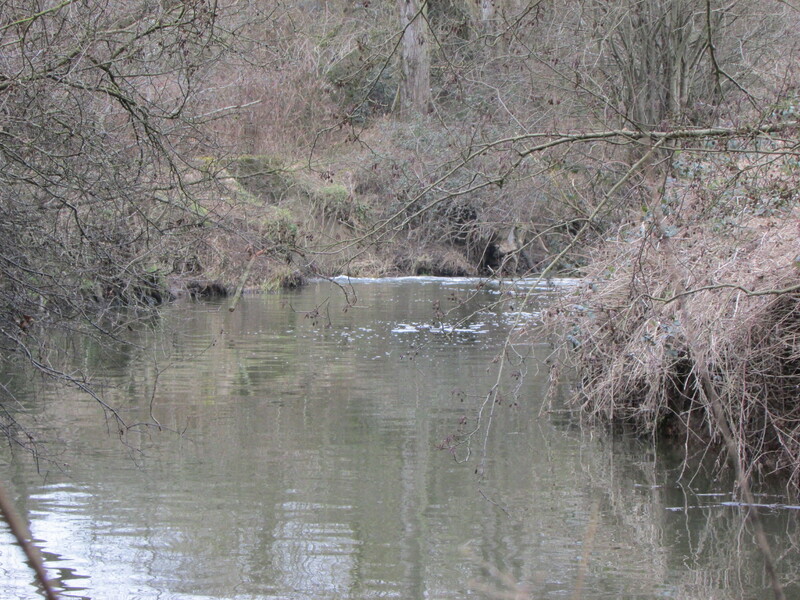 The river had a good tinge of winter colour and looked spot on for a fish or two, well hopefully! 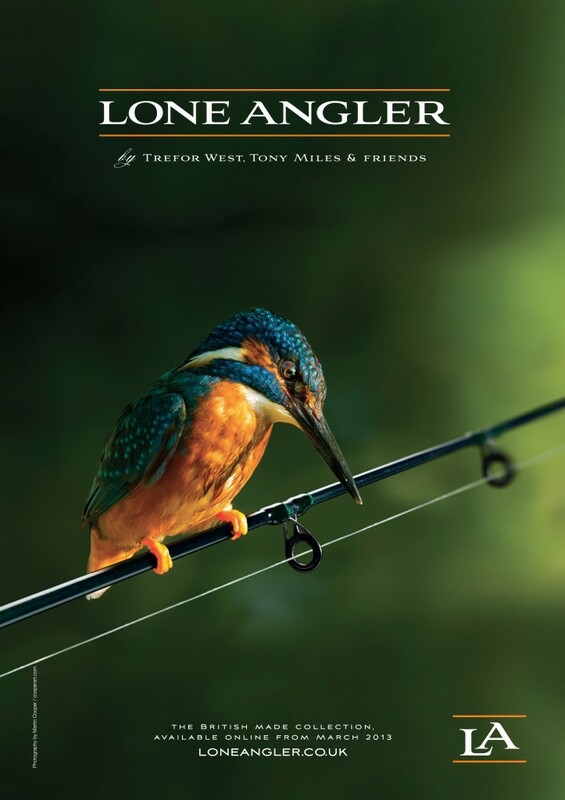 I was armed with a 12′ quiver tip rod, a reel loaded with 6lb line, some 2 and 3 x swan shots for the link leger and some 4 and 6 Pallatrax ‘The Hooks’. This was a day of simple fishing tactics. I thread 4 grippa stops up the line and then bend over a piece of mono between them and put on 1, 2 or three of the swan shots, whatever I need to just hold bottom. A big hook is used to fish either lob worms or even better a big piece of crust. Always, always try and buy your crust from a high street bakers. I promise you they are far superior to the supermarket ones. I don’t know why this is the case but it is. The supermarket ones generally have very brittle crust and don’t freeze particularly well and rarely stay on the hook for long. 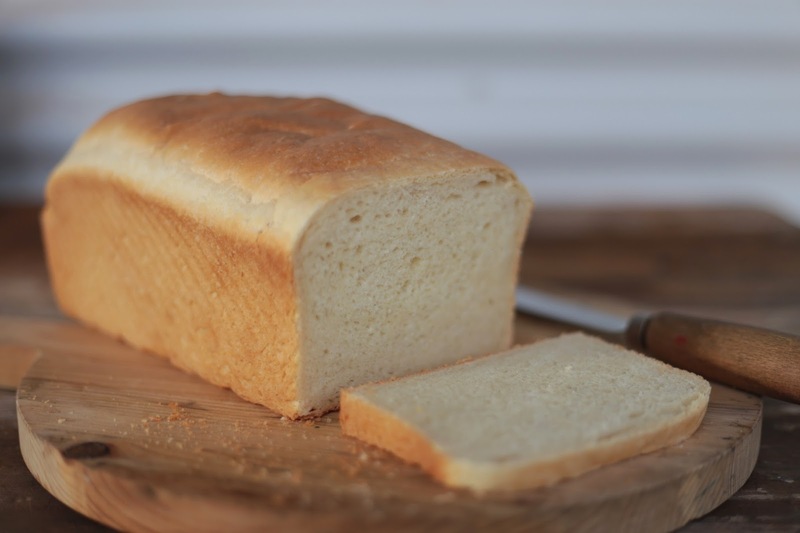 A baker’s loaf has much more pliable crust that you can bend in half without the crust splitting and breaking apart and it will stay on the hook for ages. Unfortunately my local baker’s has closed down and I was forced to buy a loaf from Waitrose and it was awful. Luckily John had some decent stuff so I pinched some of that, thanks John. We headed to the upper section of the beat, with the intention of leap frogging swims back down to the bridge. There was a lot of water to target and most of the swims looked likely to produce a bite. My first choice was near an outflow from a waterworks. From here I opted to fish for maybe 20 minutes per swim and head downstream. The first swim failed to produce and so I moved down into the next favored spot. Here a tree had come down right across the river and the depth looked good right along this section. I threw out 3 balls of liquidized bread and cast out a big piece of crust flavoured with Sausage Sizzle. This was anchored about 4-5 inches from the hook. A few tiny pings on the quiver indicated interest from some unseen watery inhabitant and then the tip pulled round slowly into a full arc. I struck and felt something solid and heavy on the other end. A nice chub I thought. But no, this was no chub as it tore off downstream and right under the tree. I managed to coax it back and again it headed off under the tree. This toing and froing continued and I still hadn’t seen the culprit. Over the first 30 seconds of this fight the fish had gone from chub to barbel to carp. Eventually the unseen leviathan boiled on the surface and it was indeed a big carp and it looked like a ’20’. This fish hadn’t given up yet and it went on a series of runs again, albeit much shorter and far less powerful than the initial ones. I shouted for John, who luckily had moved downstream nearer me and soon came running to see what all of the commotion was about. The fish was now wallowing on the surface and John just about squeezed it into my chub net! As he lifted there was a horrible cracking sound and my Drennan net handle snapped in half. We still managed to lift my prize out and there lay this big, fat and beautiful mirror carp. It did look big and I lifted it with one hand and it felt a twenty to me. 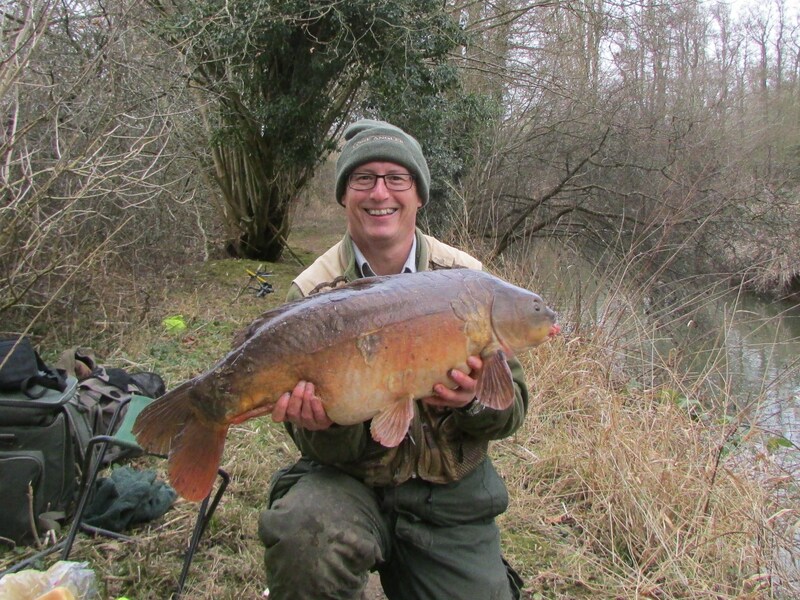 We weighed and photographed the fish and it was 20lb 4oz. I was over the moon. You often loose fish like this on light set-ups but it is a testament to the old adage of using balanced tackle. 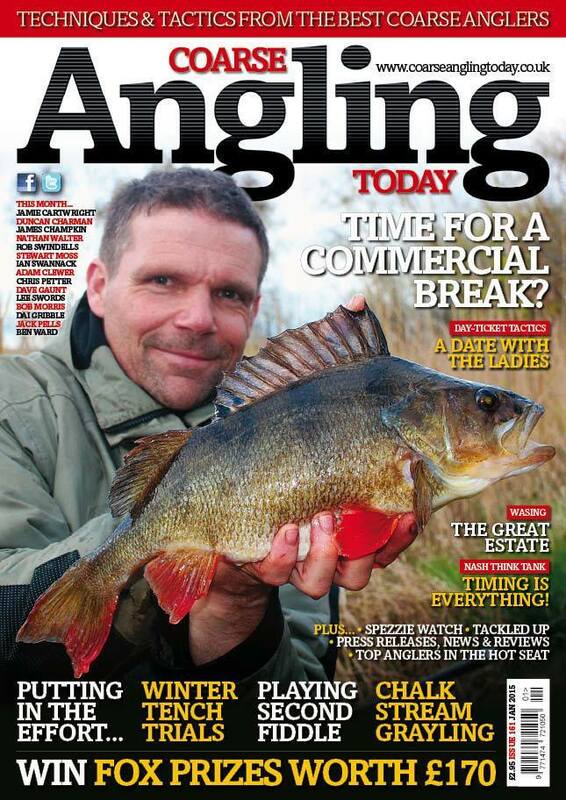 I have often said that you can exert an awful lot of pressure on big fish with light gear providing it’s balanced. A quiver tip rod and 6lb line can easily subdue big fish, the only thing that often causes a loss is a hook pull, particularly if using very small hooks or the fish becoming snagged. If I had been barbel fishing here, I would be using much heavier tackle due to the amount of snags. We continued to fish and move slowly downstream but with no bites forthcoming. 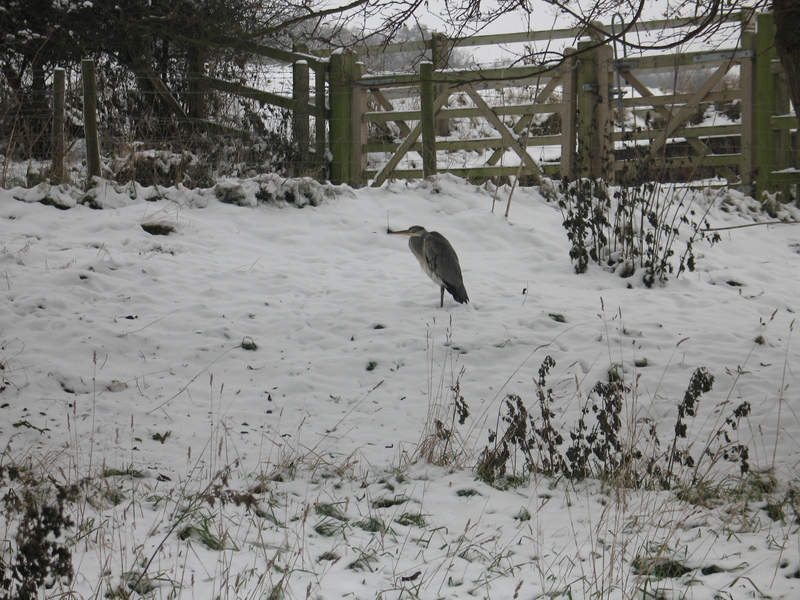 I watched a Buzzard being mobbed by several crows. You see so many buzzards now and I even saw three whirling overhead of one another whilst playing golf at Knole Park the other day. They are the first ones I’ve seen here. I knew they would eventually move in. I saw my first and only other Kent sighting quite a few years ago in Stone Street, so it was good to see that they have populated the area now. Of course you often hear them long before you see them, that forlorn cry as the circle high up on the thermals. After talking to another angler lower downstream who had also failed to get a bite, we decided it was time to head off to another venue. This time we headed to Kent to fish the Eden. 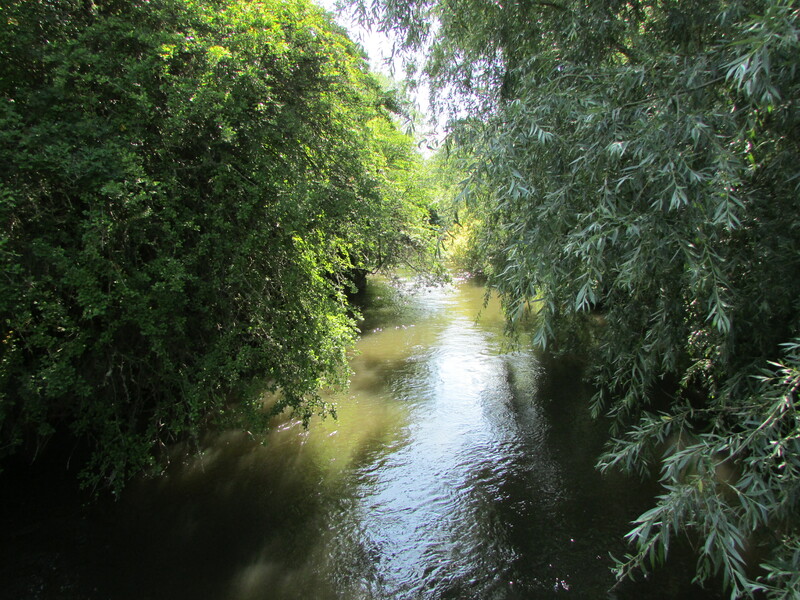 The Eden is a diminutive and intimate river that eventually joins the River Medway. It’s largely gravel bottomed but rarely deeper than 2-3 feet. 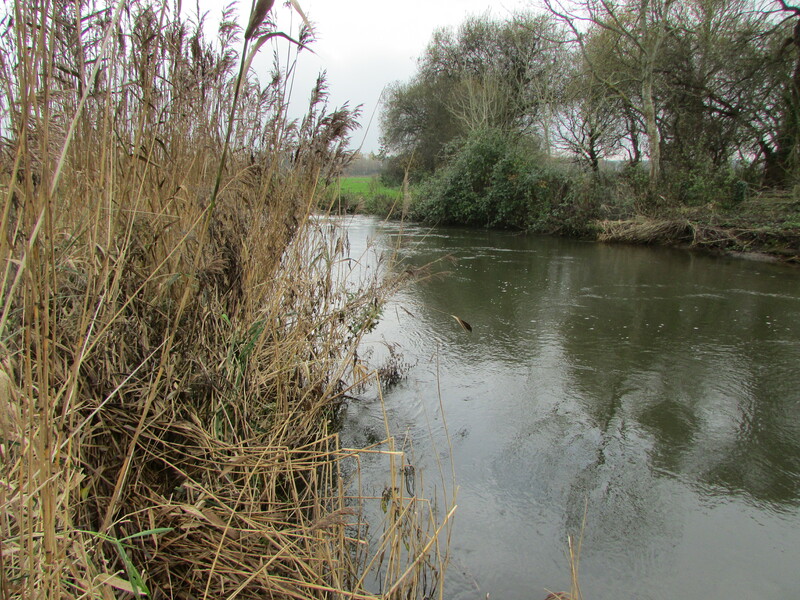 There is plenty of bankside cover with steep banks down to the river. Fortunately there are plenty of ledges to fish from. Again we leap frogged downstream, fishing lots and lots of superb looking swims. 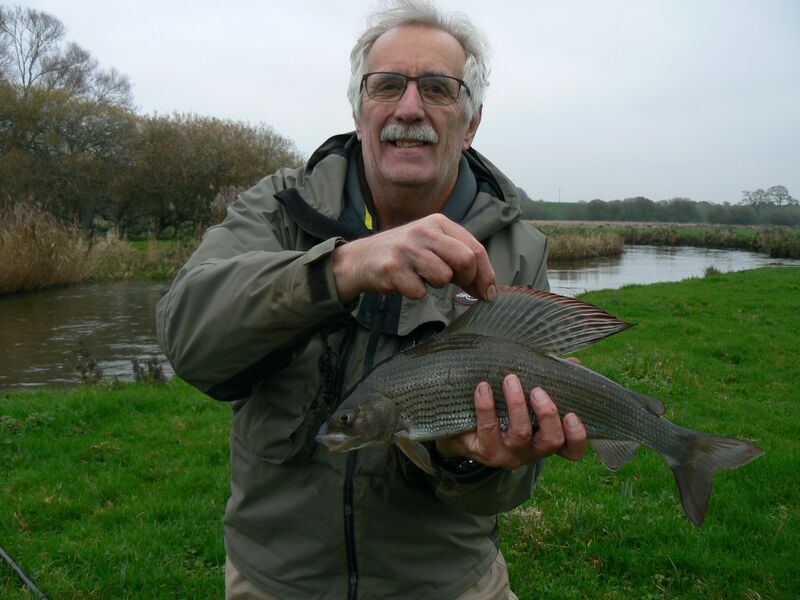 I was still struggling to get a bite, whilst John had lost a chub of around 3lbs and managed to net a slightly smaller one. With only 15 or so minutes to go I moved into my last swim, having just lost a nice fish further upstream. Out went a big piece of crust into a nice long glide under some overhanging branches. The tip suddenly pulled round and a good chub fought on the other end. 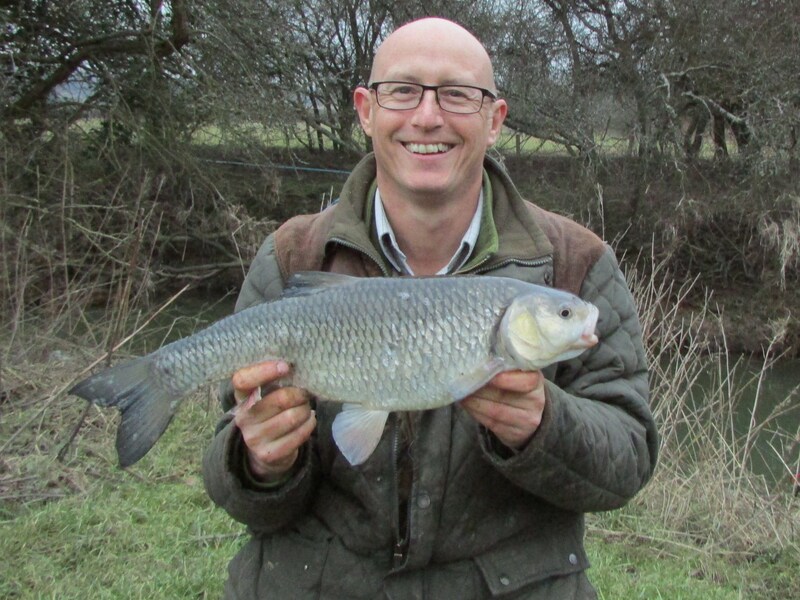 I could see from the size of the chub’s mouth that it was a good fish and on landing, it proved to be a very healthy, bulky fish and weighed in at 4lb 7oz. A fitting end to what had been a rather exciting day in the company of my very good mate JK. Thanks for another great day out John. You can’t keep a good man down it seems. 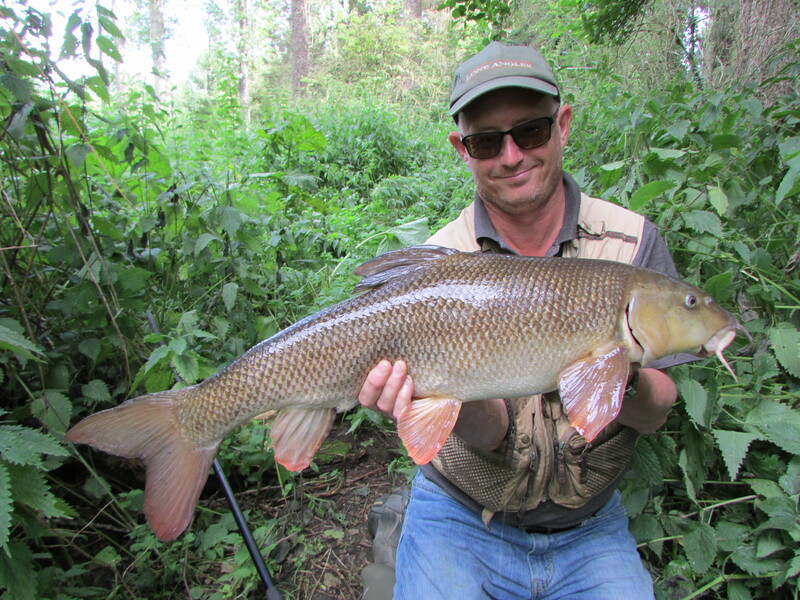 That young Jez Brown has struck gold on the Royalty fishery with some stunning recent catches of barbel. Jez is one of the main men at Pallatrax and the lone Angler and a big supporter of the Association of Barbel Fishers and a thoroughly nice bloke too!